Leatherback turtle nested on the Paradise Beach project! 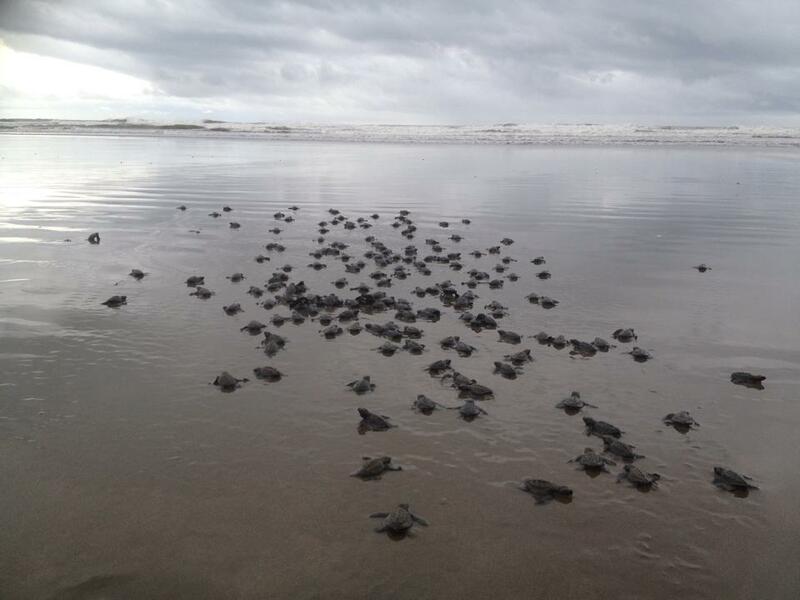 Last week we received a VERY exciting update from the Costa Rica turtle project! On Tuesday 25th November a leatherback turtle nested on the Paradise Beach project. These are one of the rarest turtles in the world and only two leatherbacks have nested on the beach in the last three years…so this is really exciting! The Leatherback is the largest of the sea turtles and these reptilians are the only living species of its taxonomic family (Dermochelyidae). Research traces its roots back more than 100 million years- sadly the population is rapidly declining and is now an endangered species. 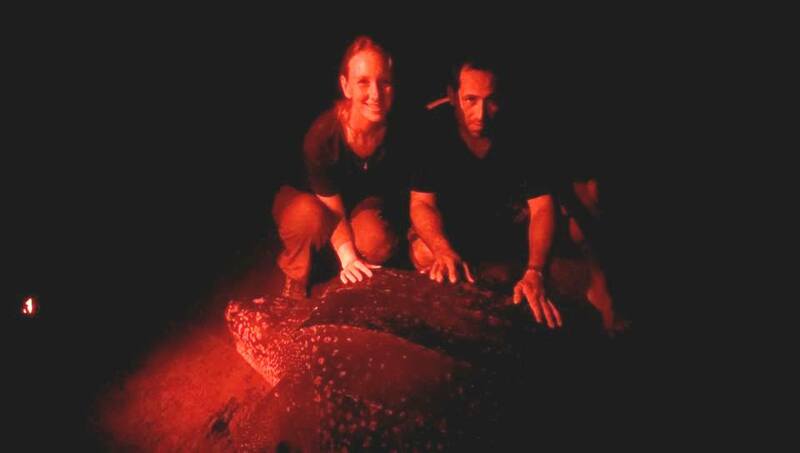 How large are Leatherback turtles? They can grow up to two meters in length and exceed 2,000 pounds (approximately 143 stone) in weight. The largest ever found was washed up on the West coast of Wales in 1988- the male leatherback was 2.6 meters long and weighing approximately 144 stone! How do they migrate and nest? Leatherbacks have the longest migrations between nesting and feeding compared to all other sea turtles. The Leatherbacks will mate in the sea and dive to depths of 1280 meters (deeper than any other turtle) and can stay down for up to 85 minutes. The females will come ashore every 2 – 4 years at night, create a large hole in the sand and deposit around 80 eggs. What is the Leatherback life span? The lifespan is unknown but research suggests the average is between 30 – 50 years. Researcher’s inform Leatherbacks often meet an early death due to human activity. It is estimated that only one in a thousand leatherback hatchlings survive to adulthood. This is because the eggs are often taken by humans from nests to be consumed for subsistence or as aphrodisiacs, many leatherbacks fall victim to Ghost Gear (fishing nets etc.) or even struck by boats. There are estimated to be between 34,000 and 36,000 nesting females left worldwide (compared to 115,000 nesting females in 1980). We are proud to work with an organisation in Costa Rica which aims to protect nesting turtles and their eggs and ensuring the turtles make it back safely to the sea. Last year our volunteers helped towards saving over 277 sea turtles from poaching, they helped release over 1500 olive ridley hatchlings back to the sea, clearing over 50 large garbage bags of little from the beach and much, much more!